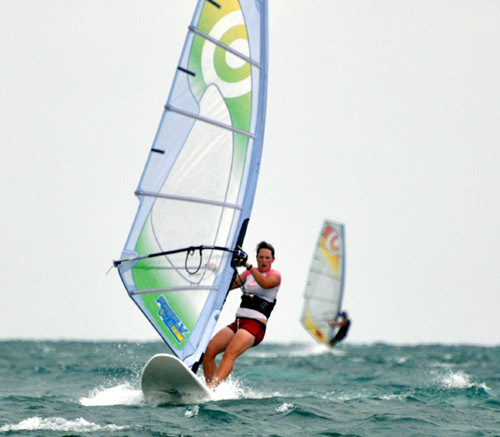 Last week was another windy week on our Belize island, and the wind sports were in full swing with kites and windsurfing action adding to the paddle and surfing events. 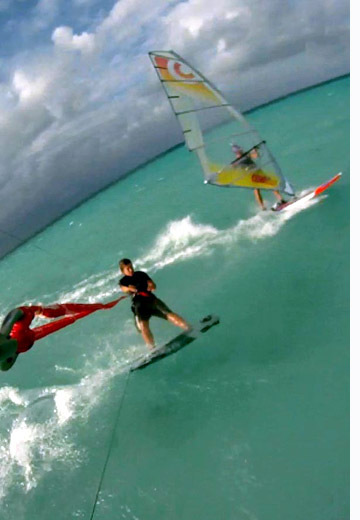 We were able to sail to the neighboring islands and even got some kite action in the surf. Check out some of these shots from Victor’s GoPro camera; he sent these shots as soon as he got off the island. In addition to these big wind days, we always have enough wind for our beginner sessions, and we see sailors on the water everyday getting instruction from our guides. We hope you will decide to join us someday soon on one of our outdoor vacations before all of our trips are full… March is filling up!